Looking for cheap accommodation Rome? Sweet and simple rooms at the cozy Beehive Hostel - one of the best cheap places to stay in Rome! I ran a B&B in Rome for 17 years. I know the market. I know the business. And I know what people are looking for when they want to stay somewhere cheap in Rome. When you search online for cheap accommodation Rome, you'll often see articles with lists of places with "low rates, starting from . . ." which are their rates for the cheapest room type, in low season. Which is very short in Rome. And you can almost never get those rates. Want a private bathroom? A bigger room? A room with a balcony? The rates start climbing. So this page is not about finding "low" rates at normally higher end properties. It's about telling you where you can get quality, cheap accommodation Rome, most of the year. Want to skip this part and see my picks for truly cheap accommodation Rome? For a map of my favorite cheap Rome accommodation, click here. There is now so much competition in Rome for your accommodation Dollar/Euro/Pound, that you can usually find a cheap place to stay even in high season...but where is it and what's it like? I don't need to tell you that if you come in VERY low season, you can easily find cheap accommodation just about anyplace in Rome. Or, even if you come in high season, if you are willing to stay (sometimes far) away from the touristic center, you can fairly easily find cheap hotels in Rome. 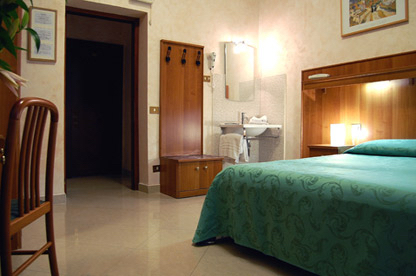 Or if you go on a website like www.hostelz.com, you can find inexpensive places to stay all around Rome. But what about when you want to come in high season, stay in the touristic center, and have a fairly decent quality room, with at least some service? Cheap Accommodation Rome - Location Location Location! And some of the highest concentration of cheap accommodation Rome can be found, yes of course, near Termini station but also near Santa Maria Maggiore, Monti (near the Colosseum), around Campo dei Fiori/Piazza Navona, Trastevere, and yes, by the Vatican. All those neighborhoods are very central, and have good options for getting around Rome. Check out the Romewise Guide to Neighborhoods in Rome for a map and more details! The absolute cheapest accommodation will be just a bit (or even quite a bit) further away from the center, such as in San Giovanni, along the via Tiburtina or Casilina. Don't expect the suburb of EUR to offer a lot of cheap accommodation, just because it's far from Rome's touristic center. Eur is a bustling residential area but also a business and governmental hub, so many accommodations there are either upscale or more costly than you might expect. Cheap Accommodation Rome - When is Low Season? Find out what the weather is like in Rome throughout the year on the Romewise guide to Weather in Rome. From around January 8 until the end of February/first week of March. The first week of January is high season and very busy in Rome! Our holidays (including kids not in school), go until January 6. St Peter's Square on January 2. The first week of January is very high season in Rome! In between those ranges during winter, you might have busy/high season dates, like if December 8 falls near a weekend, and in February, if Valentine's Day falls near a weekend, and when there are Six Nations Rugby matches in Rome. Visit my page about the Best Time to Visit Rome for more help. Cheap Accommodation Rome - Read the Fine Print! Please please do yourself a favor and pay close attention to what you are booking before you book. As someone on the hotel side of things, I can tell you it's a constant issue that people simply look at the cheapest (often the first) rate available and book that...then realize, it's not exactly what they wanted. And then sometimes it's too late. At our B&B we have two rooms that share a bathroom. This is not that uncommon in Rome, especially when it comes to Rome B&Bs and other non-hotel accommodations. And often, people book a room with shared bathroom, because the price is right, only to discover the bathroom is not private...and then when they ask to book a room with private bathroom, it's either not available, or more than they wanted to spend. Also, read the conditions. Is the room cheaper because the rate is non-refundable? If so, you might want to invest in travel insurance, which seems anathema to visiting Rome on a budget, but is a money-saver when you need it! Is the bathroom private/inside the room? When we first opened our B&B in 2001, we got most of our bookings from word of mouth, then through our own website. Our little B&B, Daphne, when we first opened in 2001. We've come a long way baby! As the internet evolved, online booking engines, called OTAs (online travel agencies), such as Expedia, TripAdvisor etc, grabbed more and more of the market. As of this writing, nearly 90% of all our bookings come through Expedia/Hotels.com, and a few other OTAs. We do still get some direct bookings, but not that many. And that's just the way it is. So in order to find some of the real gems out there, when looking for cheap accommodation Rome, don't only look on the OTAs. Check around for smaller, family-owned properties, and book directly with them. Having worked in this business since 2001, and being married to a Roman who worked in the business long before I met him, between us, we are familiar with some of the beast cheap places to stay in Rome, because some of them are run by friends of ours. And, we've had friends and family stay there, so know that you get quality for your money. The Beehive is hands down my number one pick for cheap accommodation Rome. American owners (and friends of ours) Linda and Steve adhere to the best philosophy you can have in this business - making customer service the number one priority. Located on an easy-to-find corner not far from Termini train station, the Beehive offers several options from shared dorm rooms to rooms with en-suite bathroom, in a clean, safe, welcoming environment. The rooms are simple but comfortable, and you'll enjoy fantastic (vegetarian and organic) breakfast options, cozy, friendly gathering spaces and all the help you could ask for. If the Beehive had been around when I was backpacking through Rome ages ago, this is where I would have wanted to stay. At the Beehive, you can get a 10% discount for stays from November - February (except December 31 and January 1), for any year. Use code romewiseWIR for your discount. How to book: Your best bet is to contact them directly via their website. Their rooms are not listed on Expedia, TripAdvisor, Booking or other large OTAs and only sparingly on Hostelworld. 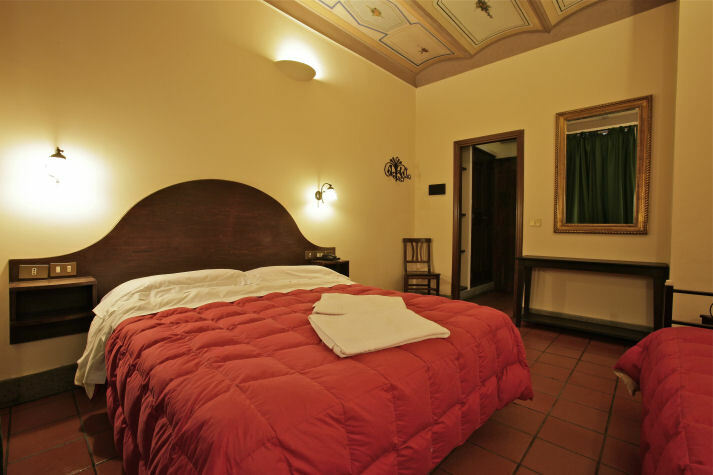 La Piccola Maison is an excellent choice for a quality, cheap place to stay in Rome, because it is so centrally located, right near our B&B at Piazza Barberini! There is no breakfast, one reason the prices are nice and low. But there are plenty of places for breakfast nearby, so don't let that stop you! 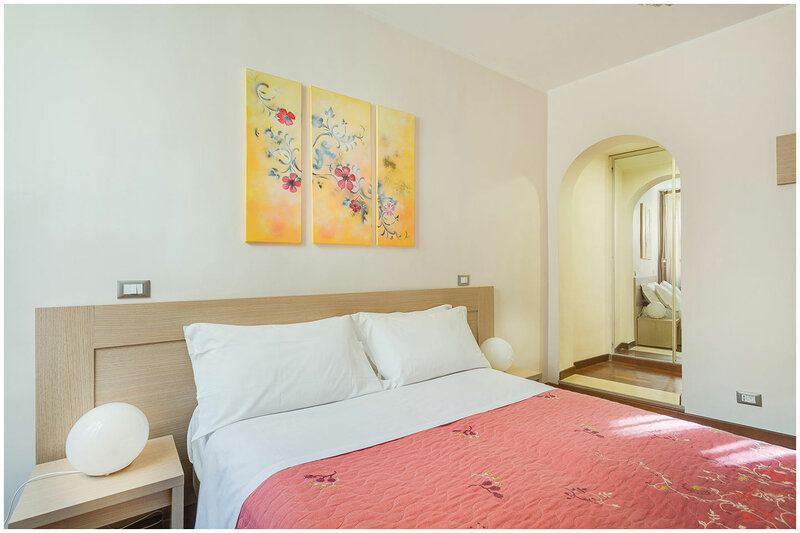 The rooms at Piccola Maison are bright, cute and cozy...and the location near the Spanish Steps cannot be beat! How to book: As always, your best bet is to book directly through their website, or contact them to ask about possible rates and discounts. If you prefer, you can also book through Booking.com. 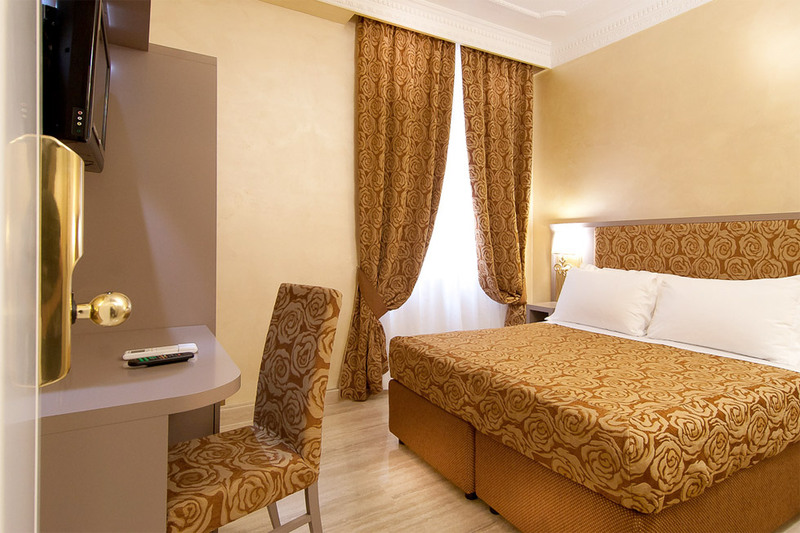 This nice cozy, simple 3-star hotel is also right near us at Piazza Barberini, making it another excellent choice of where to stay in Rome on a budget. Run by our colleague and friend Giampiero, you will find comfortable, quiet rooms, a lovely breakfast and super location. And great rates! How to book: You can book directly on their website, and even contact them to ask about a possible discount. You can also book on Booking.com. This spartan but comfortable well-run 2-star hotel near Termini station is in fact where I stayed way back when I was back-packing around Europe. They've renovated over time and does not resemble the hostel I stayed in back then, but they have still maintained a simple, cozy feel. How to book: Contact them directly via their website above. If you prefer you can use also book through Booking.com. Hotel Panda used to be called Pensione Panda . . . perhaps you have heard of a "pensione"? They do not exist anymore in Rome. But this just tells you how long Hotel Panda has been around. Pensione Panda, now known as Hotel Panda, still keeps it simple...and cheap! They are old-school, offering very basic rooms, some with shared bathroom, but in a killer location right by the Spanish Steps. How to book: Contact them directly through their website, but you can also book on Booking.com. One way to stay inexpensively in Rome is in an apartment rental. Yes, there is AirB&B, and you hardly need me to tell you about it. 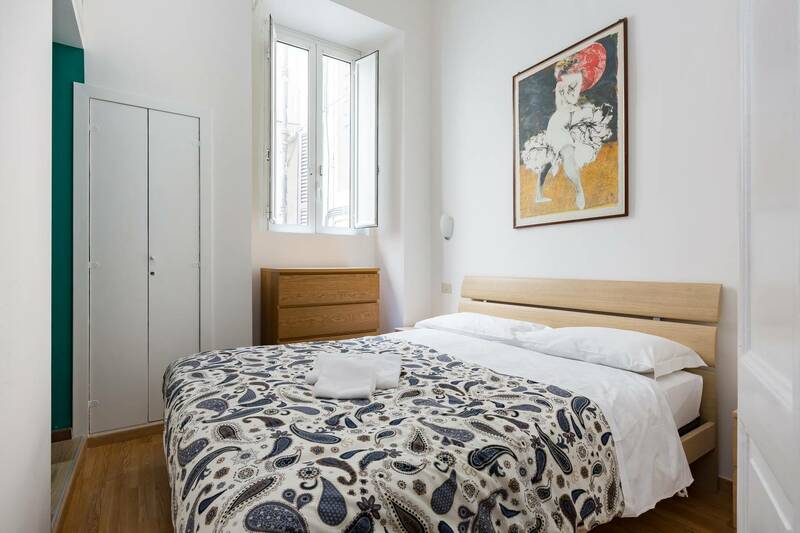 This lovely vacation apartment rental is located in the quiet part of the wonderfully charming Trastevere neighborhood. It's run by a real "Trasteverino", Massimo. With lots of comforts and space, this is a great option for cheap accommodation in Rome. How to book: You can book this accommodation on Booking.com. I recommend this because I trust the judgement of my blogging pal Saskia who stayed there and said how nice it was. Very central, quiet and clean. And cheap! How to book: You can book Casa Vacanza al Colosseum by Alice on Booking.com. Linda and Steve, who run the Beehive hostel (above), also created this wonderful network of hand-picked apartments in Rome. It's called Cross-Pollinate. Linda and Steve have been to each and every one of the apartments listed on the site, and work closely with the owners to make sure that each apartment is up to snuff. It's so much more personalized than a large commercial booking engine. You can even speak to them directly if you need help choosing where to stay. If I were looking for a portal to find an inexpensive vacation rental in Rome, it would be this one. On this map you can see where all these places are in Rome. They are all great neighborhoods in their own way. For more about these areas, visit my page about Neighborhoods in Rome.